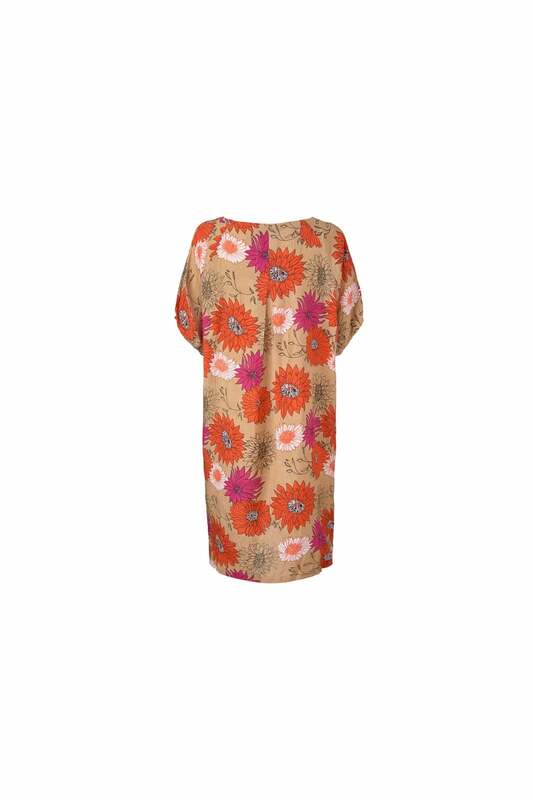 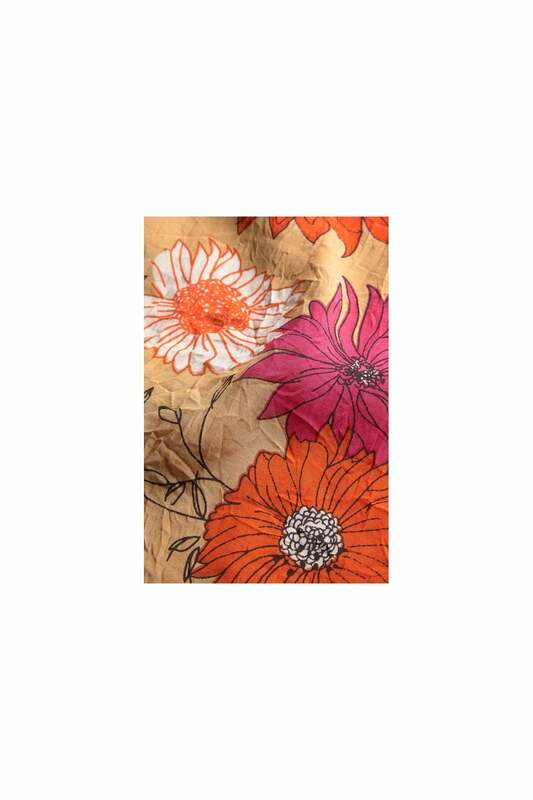 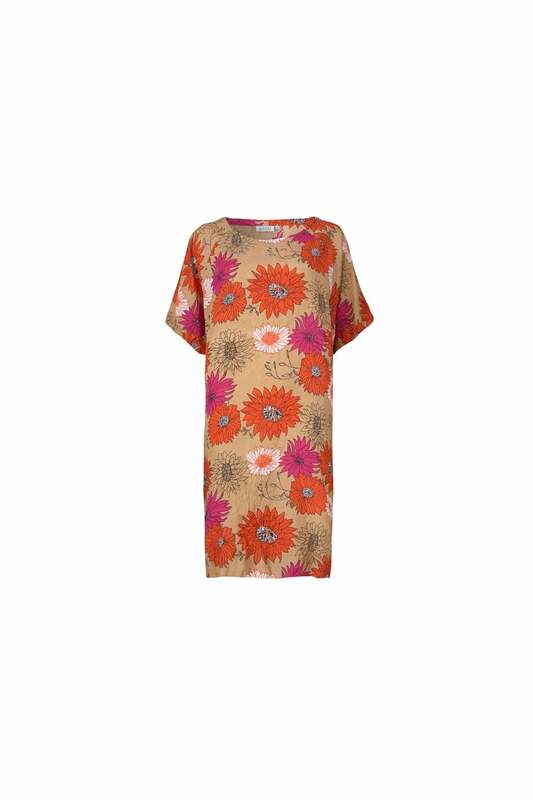 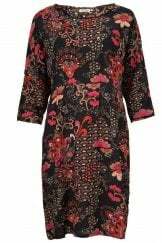 Oversize dress in slightly crinkled viscose decorated with lovely orange and pink flowers. 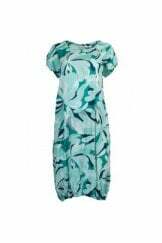 The dress falls beautifully and heavily over your figure. 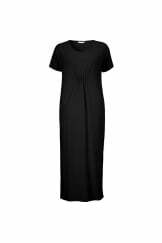 It features elastic details at the short sleeves and slash pockets at the sides. 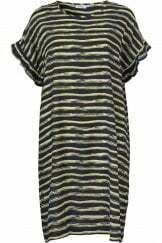 A stylish and casual dress that works well all season. 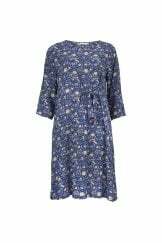 With its lovely voluminous shape, this loose style looks great with a pair of leggings or bare legs, weather permitting. 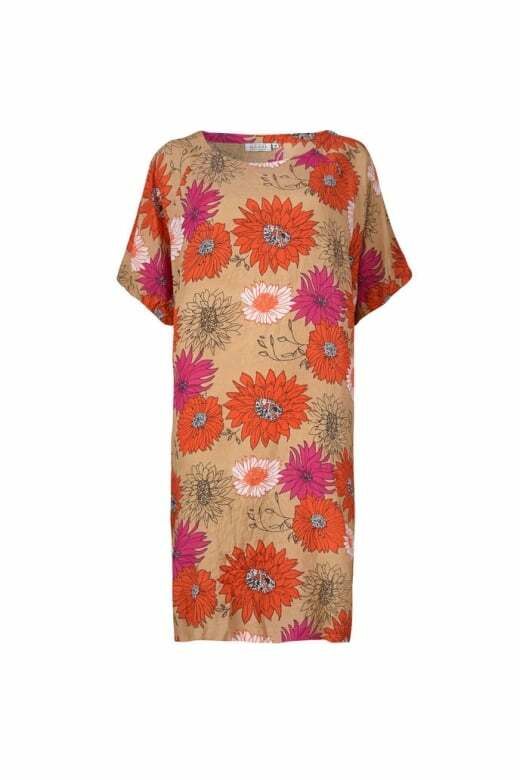 If you would like to emphasise and reinforce the lovely oversize effect, don't wear anything over it – just leave it on its own. 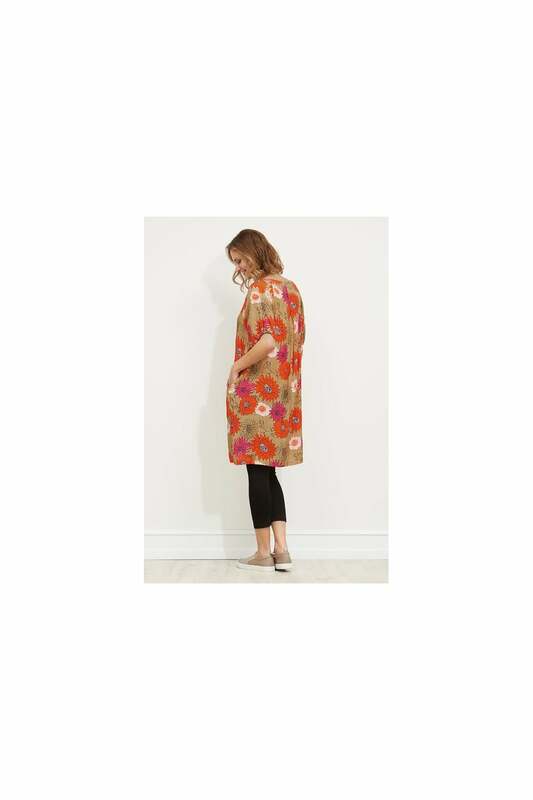 If you need an extra layer in the cool spring days or summer evenings, I recommend you choose a matching jacket, cardigan or knit – also with an oversize design. 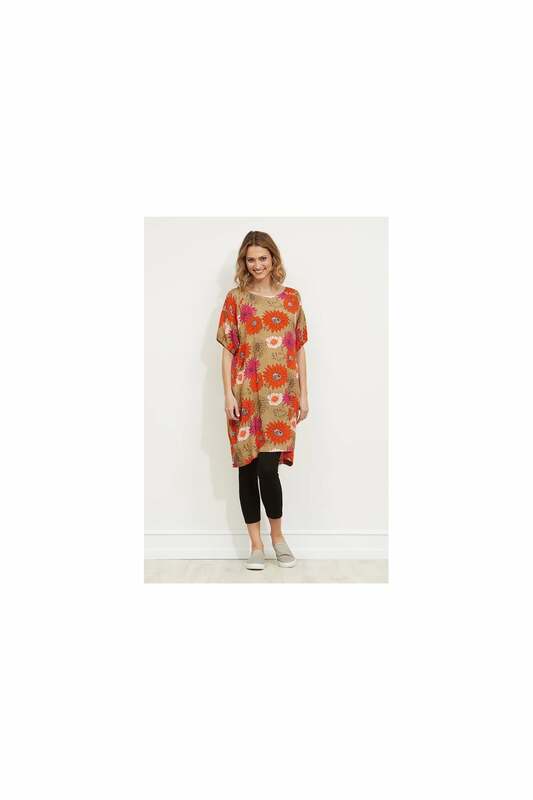 This garment is an oversized fit and we recommend going down a size.